As many of you are aware, we are in an exciting time of facilities renovations and expansion within the Newton Public Schools. The Angier School will be completed in December with Zervas and Cabot not far behind. I want to make you aware of some exciting news related to our facilities planning. The Mayor has signed a letter of intent to acquire the Aquinas School and property on Jackson Street, subject to approval and a vote to fund the purchase from the Board of Aldermen. I believe this would be an incredible asset for our system. Aquinas is a property with a school building that, with some modifications, will be a terrific facility for our district. There is also significant parking and land included in the acquisition. The Aquinas School would be renovated and include the addition of an elementary school sized gym. When completed, Lincoln-Eliot will move to Aquinas. We expect this to occur by September 2019. After Lincoln-Eliot moves to Aquinas, the old Lincoln-Eliot would become the swing space for our system. The Aquinas property can also accommodate a unified preschool program. The preschool would likely be able to occupy Aquinas as early as September, although this would still need to be confirmed. 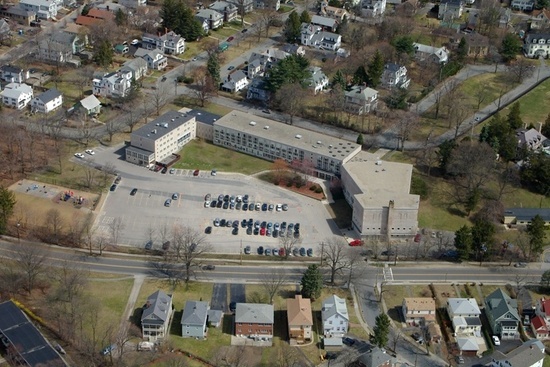 Horace Mann would move into the newly renovated Carr School in September 2019, which is the time that Cabot students will move from Carr into a newly renovated or rebuilt Cabot School. The Horace Mann building would transition to become a community center and location for Parks & Recreation programming in 2019. Please understand that our Student Assignment Working Group will continue their work while being mindful of these planned changes. We will keep you well informed on the work of that group as well as the progress and timeframe of the exciting changes resulting from the Aquinas purchase, if it is approved by the Board. I am grateful to Mayor Warren and his team for working with us to address our facilities and capacity issues. Their support is most appreciated and will make a huge difference for generations of Newton students. I hope you have a wonderful vacation week.